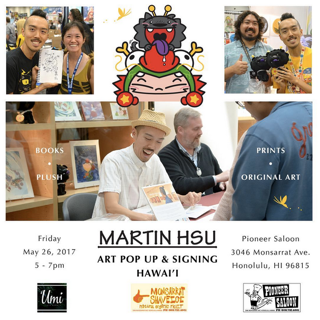 Artist Martin Hsu makes his return to Hawaiʻi 8 years since his previous event at Split Obsession back in 2009. 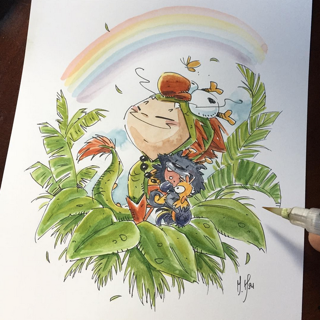 Martin will be displaying some of his new works inspired by his current visit to Hawaiʻi as well as signing copies of hew newest book release "Dragon Boy Tales". 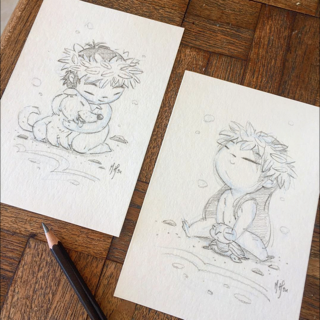 Martin will also bring a variety of prints, books, original art pieces, and his Dragon Dog plush. During the event Pioneer Saloon will be open to serve its full menu of plate lunches and ramen burgers until 8pm. 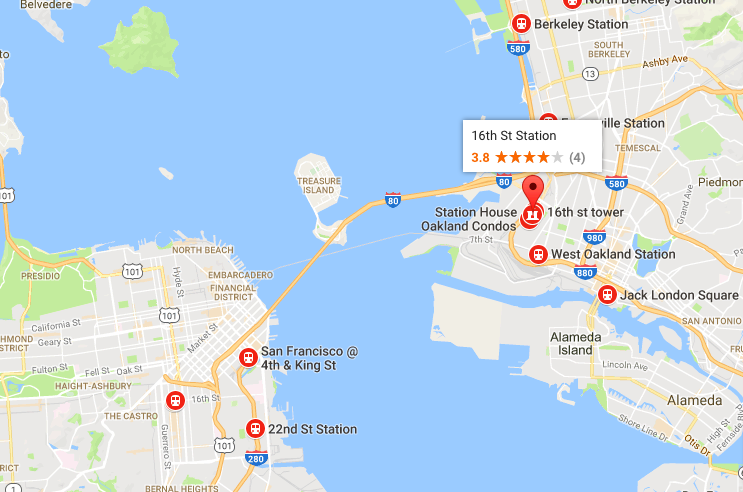 So please stop by and enjoy the evening with us. 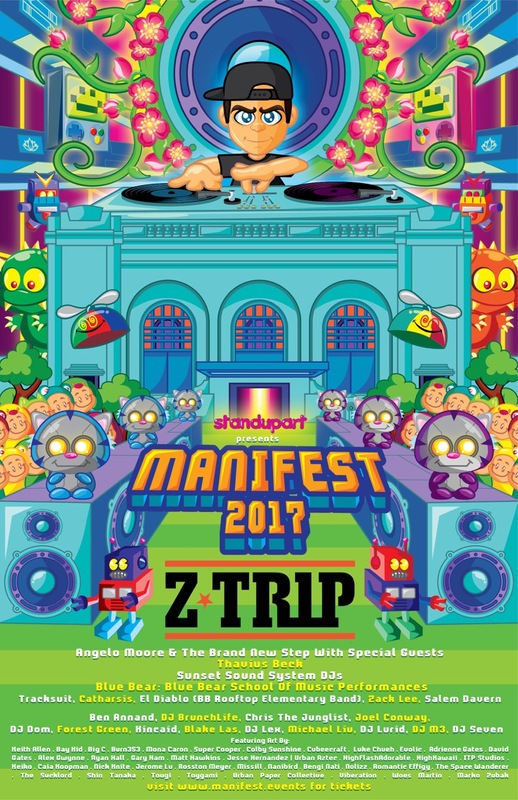 Manifest has announced their unique and exciting multifaceted festival which takes place on May 27th in Oakland, CA! Featuring a slew of talented musicians and DJs, beautiful artwork for sale, dancing, food and even family-friendly activities, this is basically a one-stop joy fest for anyone who enjoys living life to the fullest! 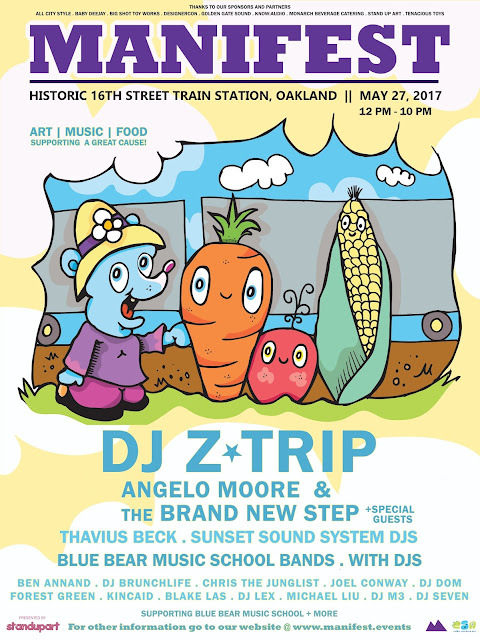 Saturday May 27th, Stand Up Art presents a mashup benefit hosting live art, music, food & full bar and more located at the iconic 16th Street Train Station in Oakland. 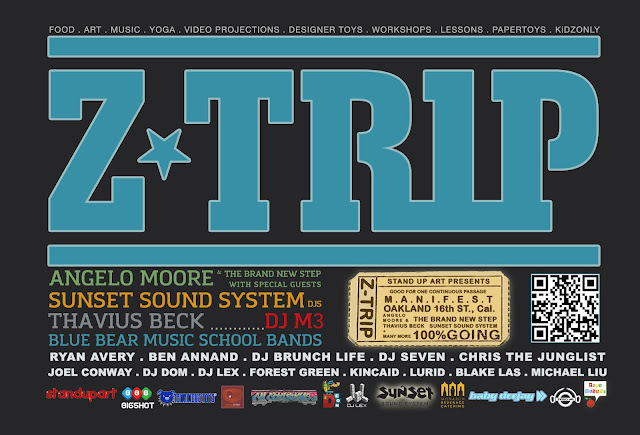 After bringing DJ Qbert to Designercon for the last two years, Stand Up Art has joined forces with some of the scene's most beloved artists as well as a collective of talented organizers to showcase multiple stages with musicians ranging from DJ Z-Trip to Fishbone's Angelo Moore and his new band The Brand New Step. 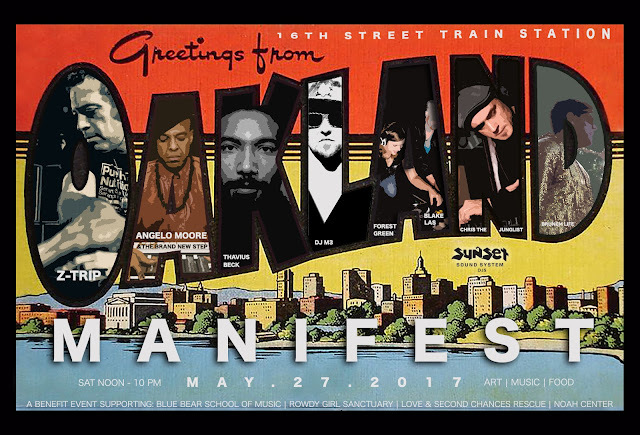 Manifest aims to spotlight the various ways that social change is possible when great minds come together for a good cause. 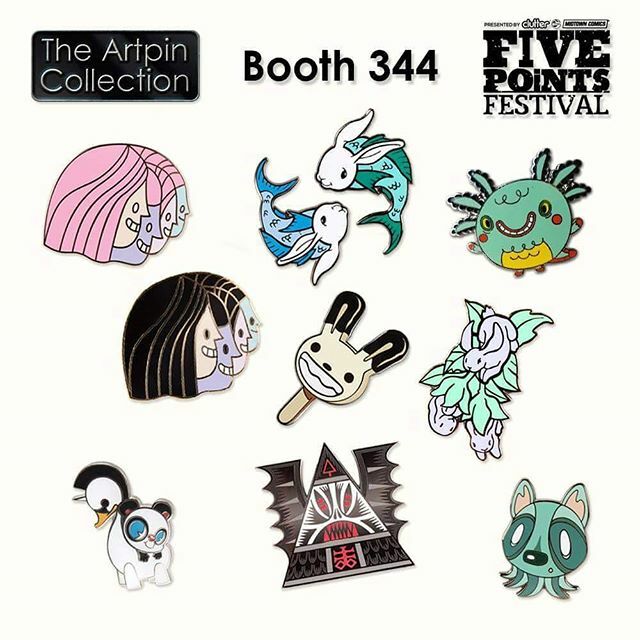 Collectible posters, blank customs and papertoy giveaways featuring art from All City Style, Designercon, Colby Sunshine and Jerome Lu with papertoys by Toygami and Adrienne Gates. Catch familiar works and brand new designs in larger than life proportions as the front of the station will be lit up at dark for a massive projection show and enjoy 3 full music stages performing all day with a silent disco. Family friendly, 100% worth the trip to Oakland. 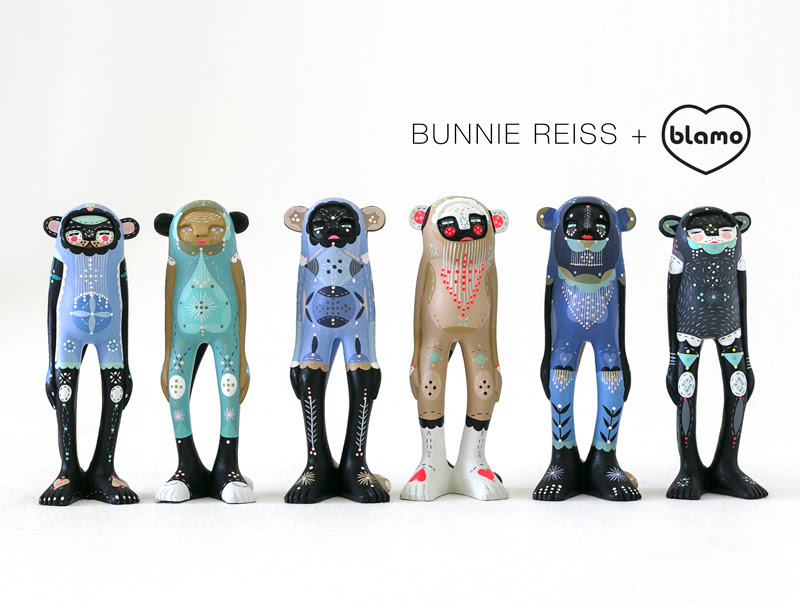 Blamo has just released six limited edition Minkys in collaboration with Bunnie Reiss. Each Minky is hand carved from Suar wood and customized by Bunny Reiss. 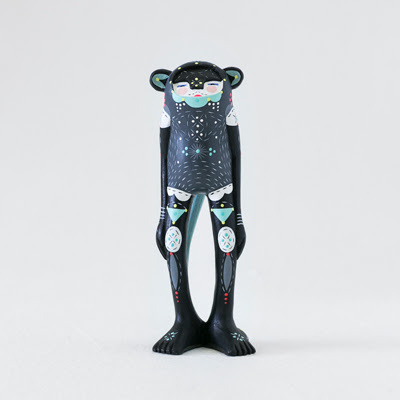 The figures stand approximately 8″ inches tall and come in a screen printed box. These are available now at the Blamo website for $300 a piece. Sticker Mule runs frequent contests on Dribbble and right now they are offering a $10 credit. To participate follow Sticker Mule on Dribbble & fill out this form. If you fill out the form before May 27, they will put a $10 credit on your account. "Back in 2009 I was feeling very fretful and anxious and letting my worries get the better of me. 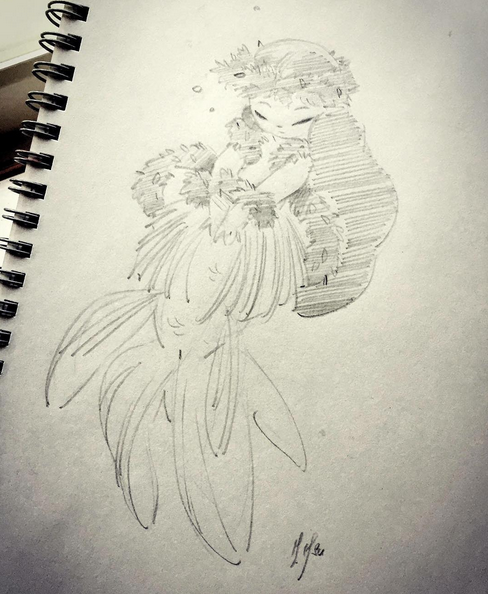 I created a little grey creature to whisper my worries to; like a talisman. I made one and stuffed it with lavender to soothe my nerves. I shaped it to fit perfectly in to the human hand and gave it two wonky eyes that stared up at me telling me it would all be OK.
As my friends and family saw it, I made more and more to help each of them and ended up selling them online in my Etsy store. This was the birth of 'The Feelings: Monster Emotions'. I started this entire project to help spread awareness of mental health disorders and to dispel any stigma surrounding them. We are not alone, we are not on this earth alone and we should never suffer alone. By creating 'The Feelings' I have met a huge group of people, from around the world, who struggle most days to deal with their overwhelming emotions and together we help each other through it. I will continue to raise awareness and to spread the word. 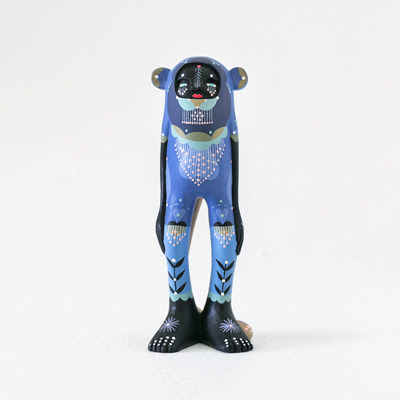 Since then the family has grown to include a selection of emotional monsters, Worry has become a worldwide traveler attending births, funerals, graduations, exams, counselling groups and many more events. 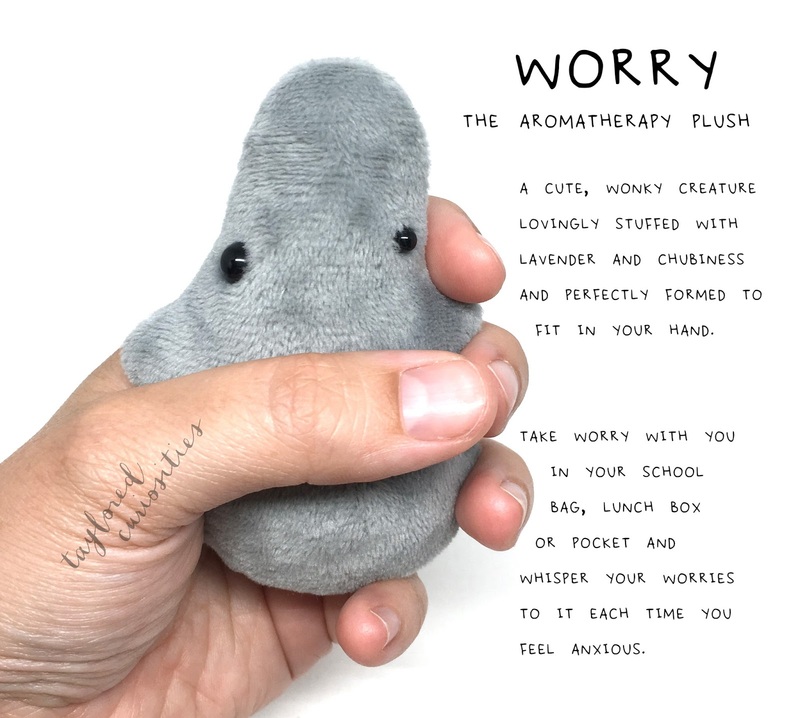 Worry has helped so many people all around the globe and continues to be a popular gift for people who worry or struggle with anxiety. Ohm Beads have recently produced four of 'The Feelings' in silver bead form. 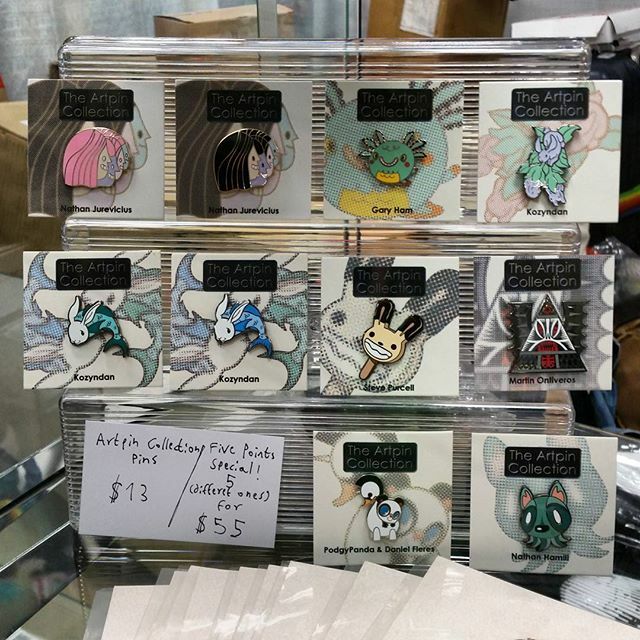 You can now own Worry, Self-Conscious, Fretful-nag and Anxiety as wearable, silver charms/talismans and some limited edition sets have my original Worry plush in special edition colours, exclusively available from Ohm. 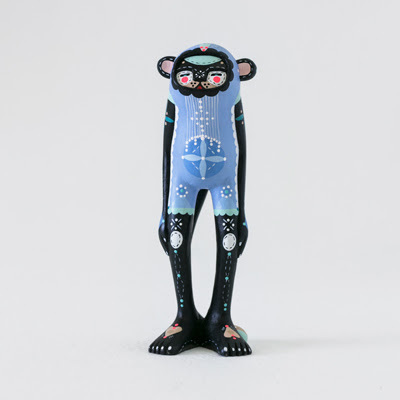 The Feelings have been shown at a variety of shows and exhibitions and I will be holding my first solo show this October 27th at the ONCA Gallery in Brighton where the 'Subconscious Dwellings' that these emotions reside in, will be brought to life and available in doll house form. I would really appreciate it if you could help me spread the word. 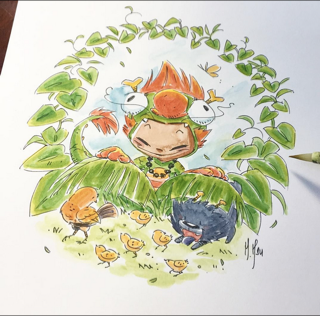 These little creatures have spread so much positivity and wellness around the globe, I want to keep that going. If any psychologists, therapists or counsellors want to use these for therapy or in sharing circles (I am told they work well this way) etc, I am more than happy to be contacted about discounts for supporting wellness." Patrick Wong is proud to announce the release of his latest resin sculpture entitled "Emblem of an Abstract Riot no.2". 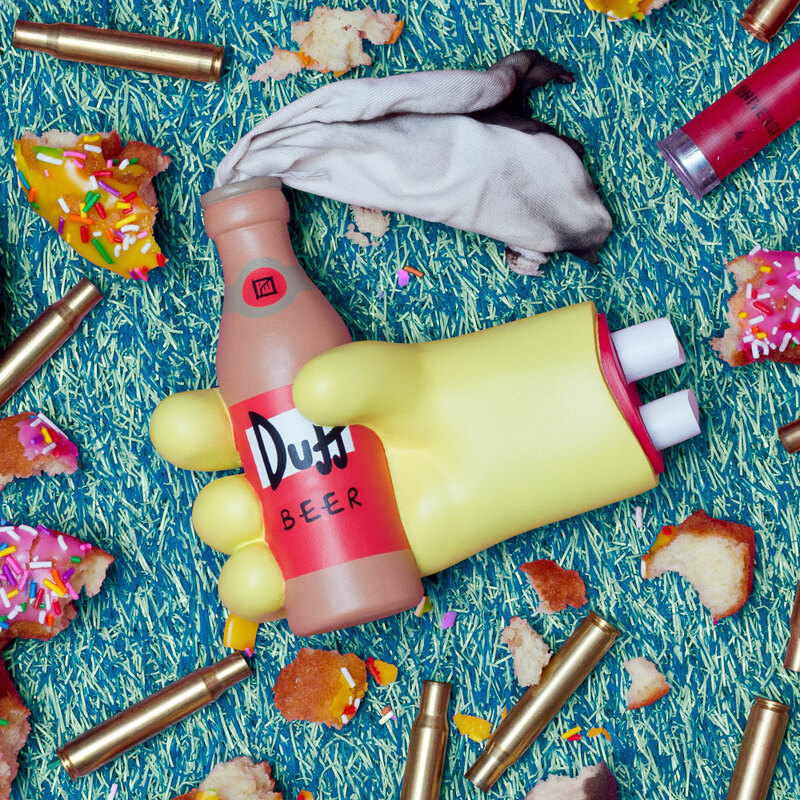 The artwork further explores the theme of failure in protest, riot, and revolt common in many of the art toys and customs from the artist in recent years. 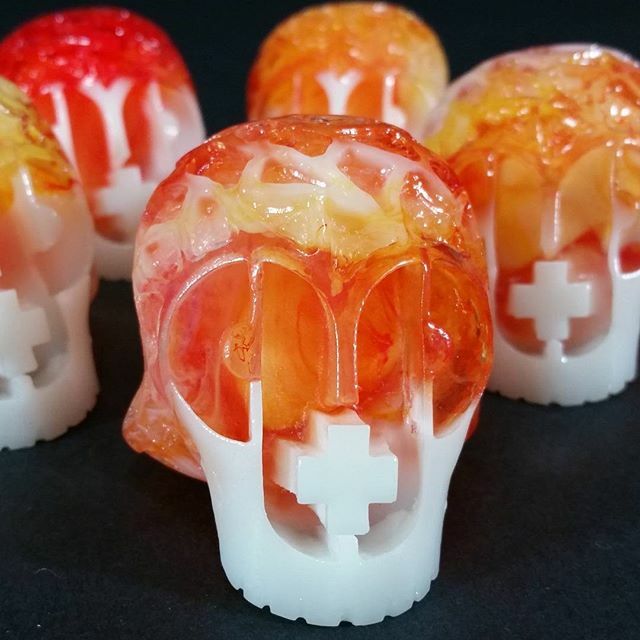 It is also the followup piece to the 2015 released resin sculpture "Emblem of an Abstract Riot". 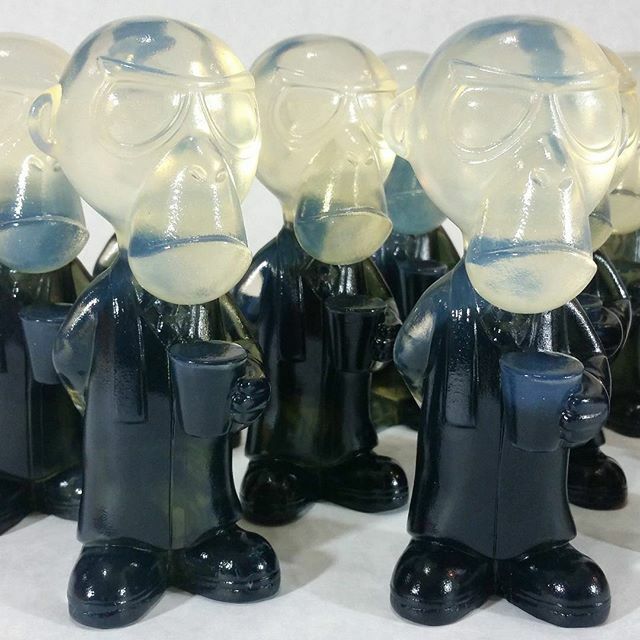 Cast in solid urethane resin and features an extinguished wick within a molotov cocktail, the piece riffs on The Simpsons cartoon with various elements appropriated directly from the show. "Emblem of an Abstract Riot no.2" measures 6 x 6 x 3.75 inches. Available to order through the artist's webshop, the handcrafted resin art-multiples are priced at $200 and available for a limited time. 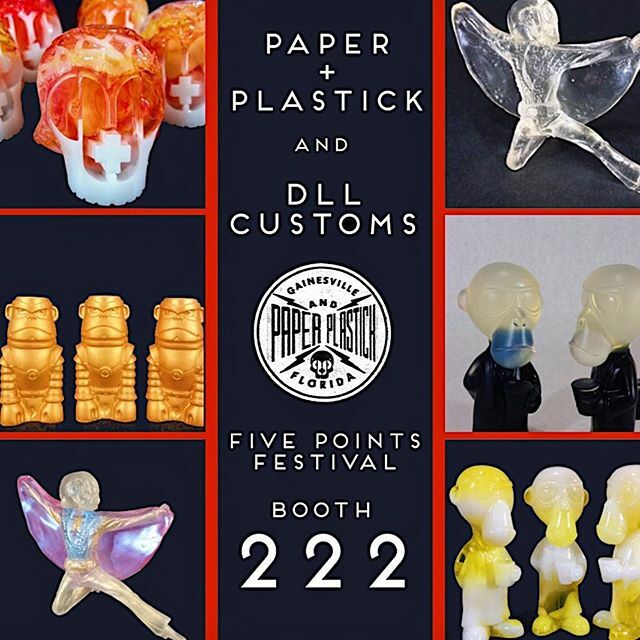 Check out a few of the exclusives from Paper + Plastick and DLL Customs today at booth 222 at the Five Points Festival. 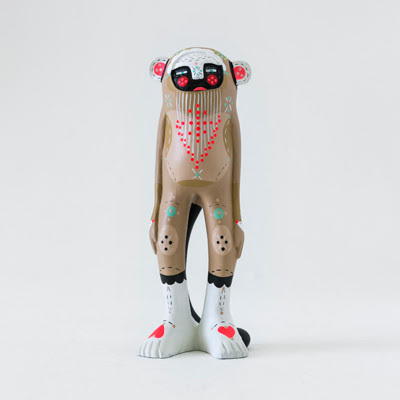 Monkey Assassin cult leader edition of 10. Carson Catlin cut Paper + Plastick resin skull, edition of 5. 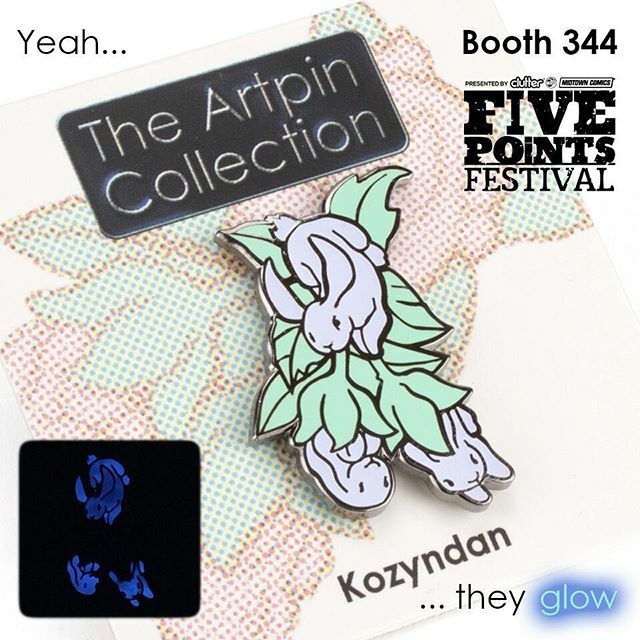 If you are out at Five Points Festival today stop by booth #344 and take advantage of this Five Points Special from The Artpin Collection, five different pins for $55 featuring designs from Podgy Panda & Daniel Fleres, Nathan Hamill, Steve Purcell, Nathan Jurevicius, Martin Ontiveros​, and Kozyndan.